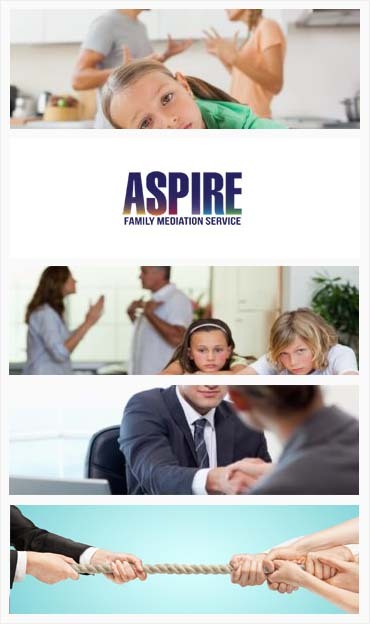 Mediation helps both parties to set their own time frame to solve their family issues, without waiting for a time when their lawyers and the court to coordinate their calendars or for their day to appear in court. It’s quite possible to resolve your problems in just a few sessions. One bad thing about divorce or separation is the anxiety as result of living with unresolved and lingering issues for a prolonged time and remaining attached to somebody even after you’ve decided to divorce or separate. Typically, you and your partner will pay a professional who is determined and dedicated to assisting you both come to an agreement or reach a resolution. Of course, you are required to pay for meetings instead of waiting time at court. This means that you not pay anything for costly document preparation and accompanying court appearances. Keep in mind that mediation process is mainly concerned with both parties (you and your spouse) working together – doing so can greatly reduce the billable time owned. In most cases, the cost of divorce or separation mediation is approximately 10% to 60% less than divorce litigation. Mediators usually agree to meet when everyone is available, especially on the weekends or in the evening. Contrary to court, most mediators are more capable of working around your busy schedule. Mediation process can also be conducted when both parties desire to solve their disputes, but sometimes can’t be successful while in the same room. So, it can be achieved online through Skype or through another online platform, or via speakerphone or conference call. This offers you greater flexibility and convenience. Work notes, communications and documents used or made in mediation are confidential and privileged. Mediation meetings are often private and held at the mediator’s office or via conference call or Skype. This is quite different from a courtroom where you will have to argue your case in front of many people, including court employees, a judge, officers, lawyers and other litigants. It’s very dreadful to have your family problems discussed in a courtroom full of strangers. The process of mediation gives you an opportunity to speak and be listened to because you deal directly your mediator. The mediators usually propose and obtain a consensus on the process of resolution, explore, elicit and help you negotiate, generate options, refine decision-making and most important come to an agreement. Concisely, most judges are understaffed and overworked with a lot of work and that is why they often don’t have the time to get to know each family. They usually speak to the lawyers more than they usually speak to those going through a divorce or separation.